Come prove that your're the best in town. Whether that's the best at Super Smash Brothers Ultimate or at drinking! 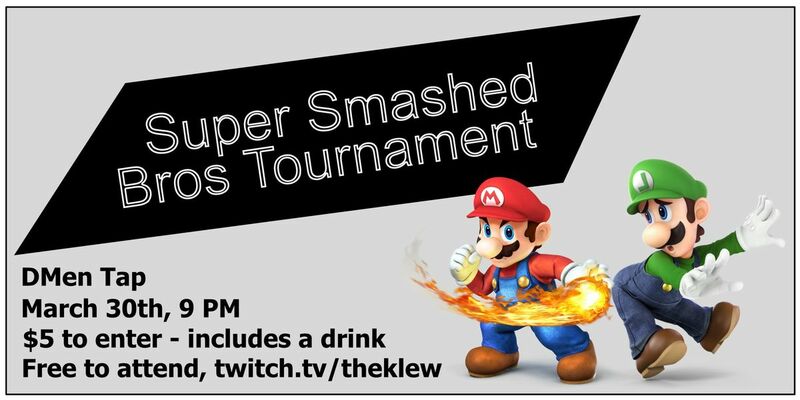 Up to 32 players can join in the tournament for $5 each with 1st and 2nd place taking home prizes! Please RSVP for tournament play with the free RSVP tickets below. Another Switch will be setup for Free Play/Party Mode and DMen Tap has tons of other entertainment and great food; board games, pinball, N64, NES. 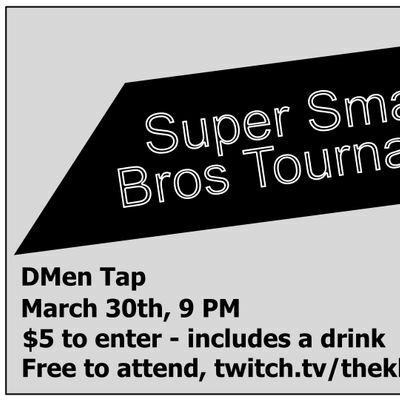 Join us for the first SSBU Tournament at DMen Tap or stream live on Twitch at twitch.tv/theklew!